Thank you wanting to volunteer with Chefs for Kids. We thrive with as an organization with the help of our volunteers. In fact we are mostly an all-volunteer based non-profit. We have whipped up some opportunities to help. Each month a host chef organization prepares a nutritious breakfast for the entire student body at a designated school. Looking for restaurants/culinary teams to prepare, cook, deliver, breakfast, along with helping hands from community members to volunteer serve too. Volunteer knowing you took part in helping feed more than 10,000 children this year. Interested in event planning, our gala committee welcomes new talent. Along with Chefs for Kids Dinner & Auction, there are several events hosted throughout the year where we need on-site volunteers ready to jump into action. 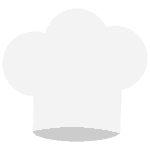 Connect with us via this Friends of Chefs for Kids fillable form. Which areas do you have the greatest interest?